The women of Antique have busy hands. These tanned and lined hands hold both straws and twines for hours on end, threading and weaving something simple into handicrafts and fabrics of grand designs. 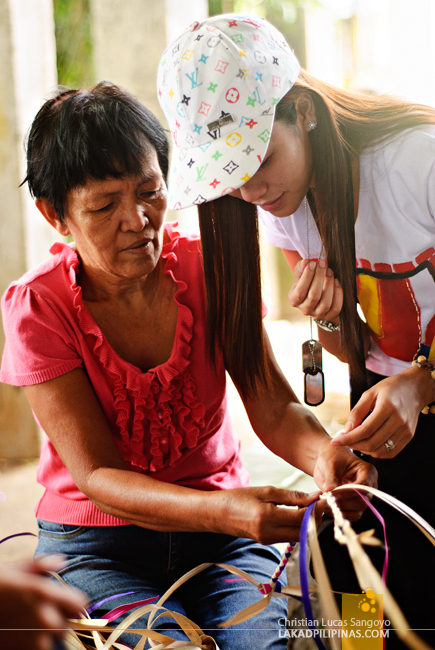 We were lucky enough to witness how these women weave their magic on the first few hours of our trip in the province. Tobias Fornier was the first town we visited. 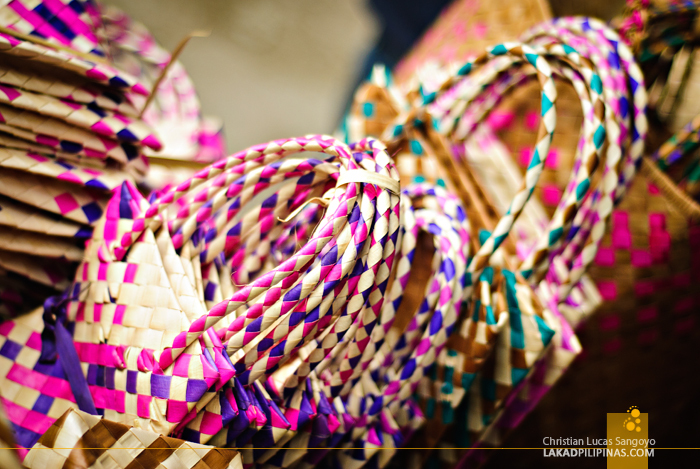 Together with the a busload of students from the University of the Philippines in Visayas, we watched as the members of Buri Handicraft Association, Inc. of Antique braid buri palm into baskets, bags, mats, wallets, and boxes. Buri palms, which is said to be second only when it terms to usefulness to coconuts, grow abundantly on these parts of Antique. From the dried and dyed leaves of these plants, an industry handed down from one generation to the next is born. Their products are so good it now represents their municipality’s One Town, One Product project. The lady weavers were kind enough to show us the intricacies of weaving buri. Both students and travelers converged around a weaver as she purposely slowed her pace and taught us how to transform simple buri leaves into works of art. 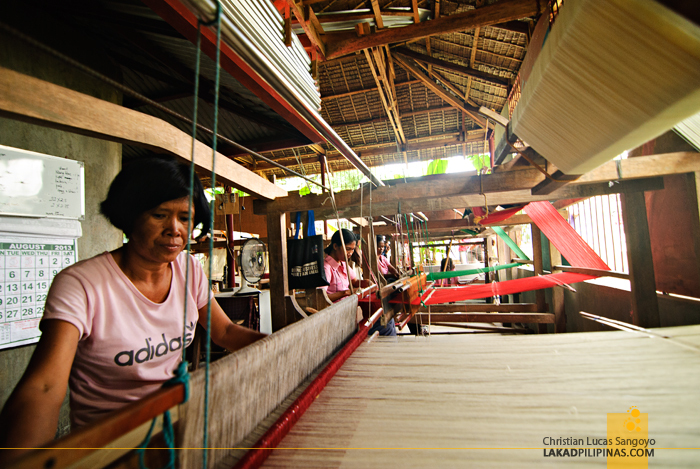 Moving into the next town of Bugasong, we visited a small community of weavers at Barangay Bagtason. 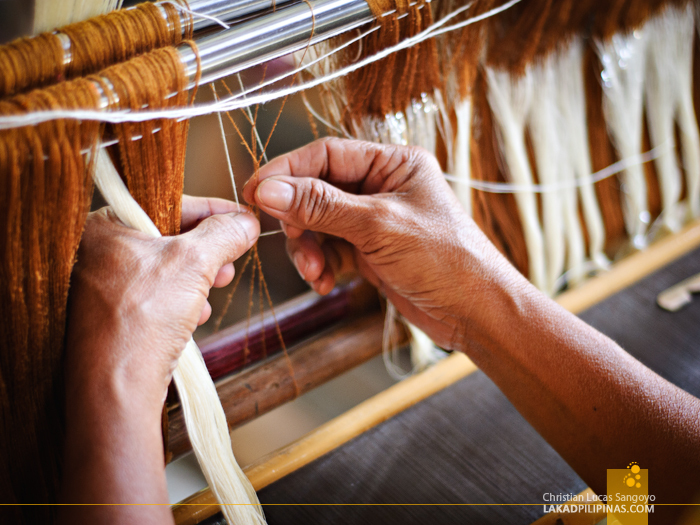 From Tobias Fornier’s buri palms, we now witnessed a more complex kind of weaving that’s not only popular in Antique, but the whole of Visayas as well. 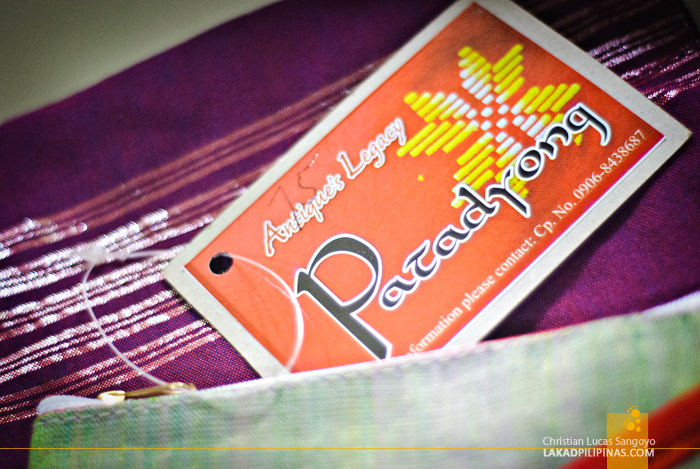 Patadyong as the Bugasongnons call it is a type of textile made from cottons, abaca, and even polyester. It is quite similar to the malong of the Muslims, the difference being in its signature plaid or checkered patterns. It is often used by ladies as skirts, baby hammocks, and even portable bathrooms and changing rooms during olden days. 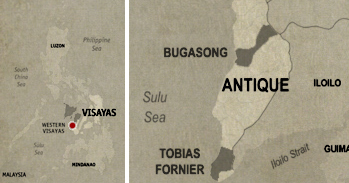 There are stories that tell of patadyong’s roots going all the way back from when Malay datu leaders moved to Panay to escape prosecution from their native empire in Borneo and Sumatra. 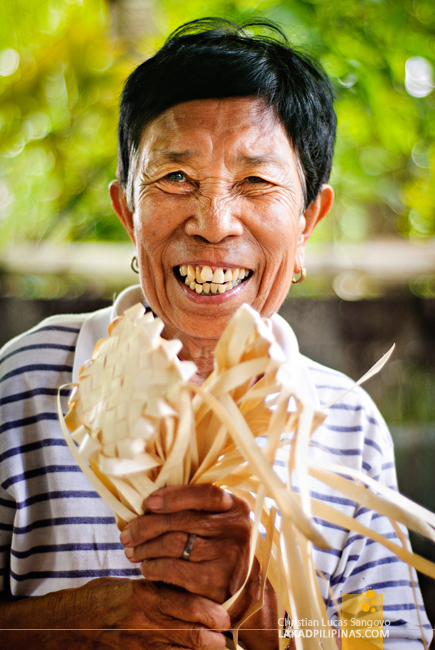 According to the legend, one of them, Datu Lubay, taught the art of weaving to the villagers of Bugasong. Well, I’m not really sure if the legend is true but if it is, the datu taught his villagers well. 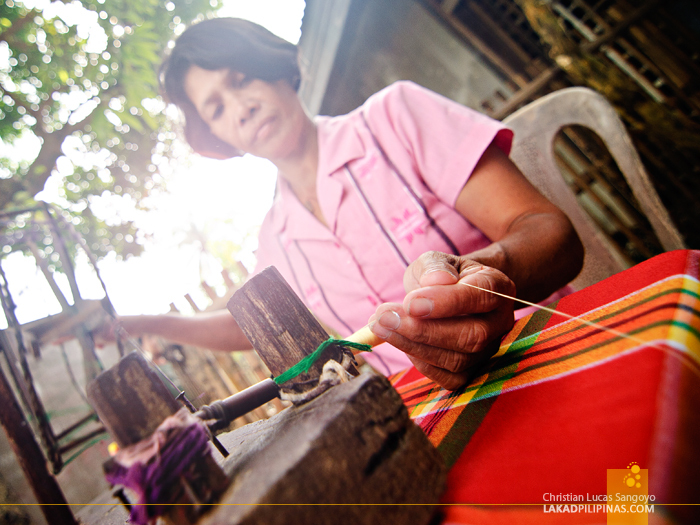 The final products I saw displayed at the Bagtason Loom Weavers Associations lobby was nothing short of astounding. Looking at the detail and intricacy of the finished patadyong textiles and how painstakingly slow it is made simply blew my mind. The patadyong ladies of Bagtason of course indulged us in trying the process of making one for ourselves. 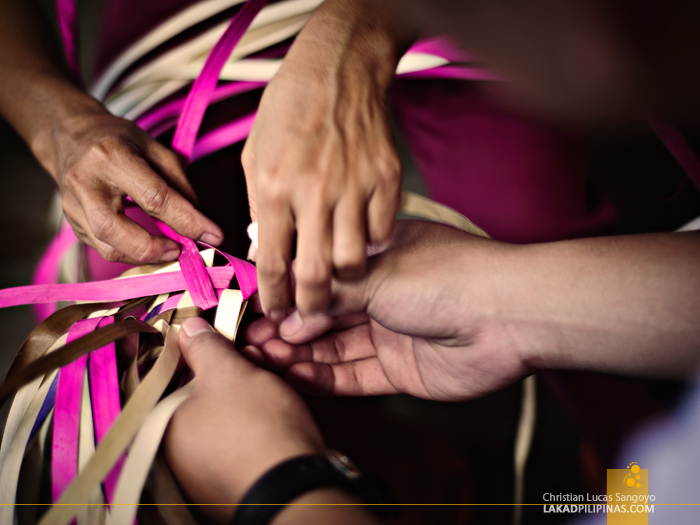 Trying the weaving part, we realized that this is actually the final component of making a patadyong. Our patient weaver explained to us that there are actually six stages for this; the measurement (pagsab-ong), the thread arrangement (paglikis), the thread insertion in the binting (pagbinting), the thread insertion in the reed (pagsulod), the thread transfer from cone to talingyasan (pagtalingyas) and final the weaving part (pagpanara). Judging how slow and hard my co-travelers concentrated on finishing a few strands of patadyong, I’m guessing it’s not gonna be any easier when my turn comes. 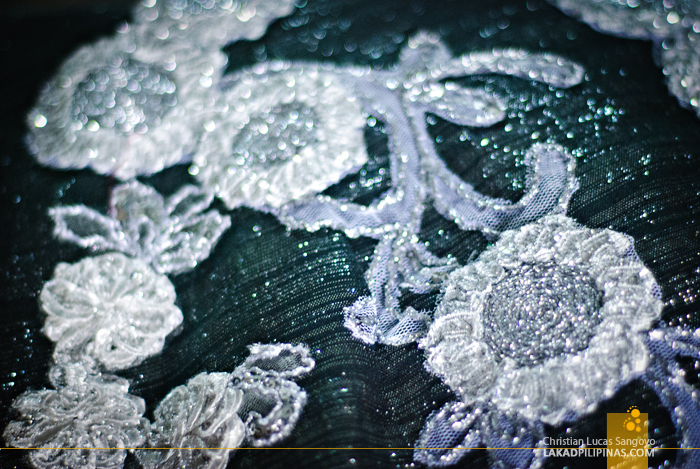 I reckon I’ll leave the art of making a patadyong to these ladies, my hands has got no magic with these fabrics.